Best Alternative to iExplorer for iPhone/iPad/iPod - iMobie Inc.
What is the best iExplorer alternative? In this post, we will show you the best alternative to iExplorer for transferring, browsing, and managing files on your iPhone, iPad and iPod. Have a try on the most powerful iOS file management tool AnyTrans after reading this post on what is the best alternative to iExplorer. iExplorer requires the installations of the latest version of QuickTime drive, or it may not function properly on your computer. iExplorer is incapable of importing music, photos, videos and more files from computer to iPhone/iPad/iPod or from one iDevice to another. The interface is not user friendly and a little bit complicated to use. If you are not convinced by its flaws or you just want a more functional and easy-to-handle alternative to iExplorer, you have come to the right place. There are many apps like iExplorer are available online but AnyTrans stands out among them for it truly gives a smooth and easy file managing experience for iOS users. AnyTrans is regarded as the best iExplorer alternative, why? AnyTrans, is an all-around & full-way iOS file management tool that designed for iPhone, iPad and iPod users, and works well on Windows and Mac (new macOS Sierra included). 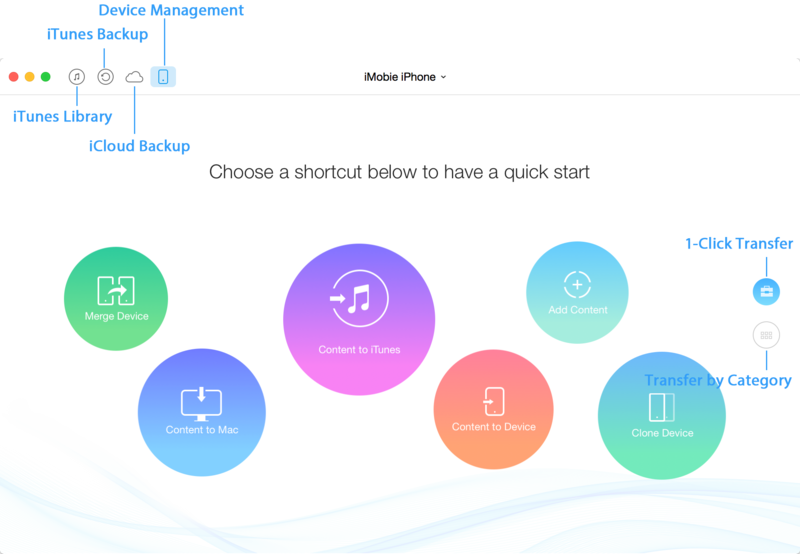 Support managing up to 20 types of iOS content on iDevice like photos, videos, music, playlists, ringtones, voice memos, audiobooks, voice memos, voicemail, calendar, notes, contacts, messages, books, etc. Provide you full-way transferring experience: between iDevice and computer, iDevice and iTunes, iDevice and iDevice. 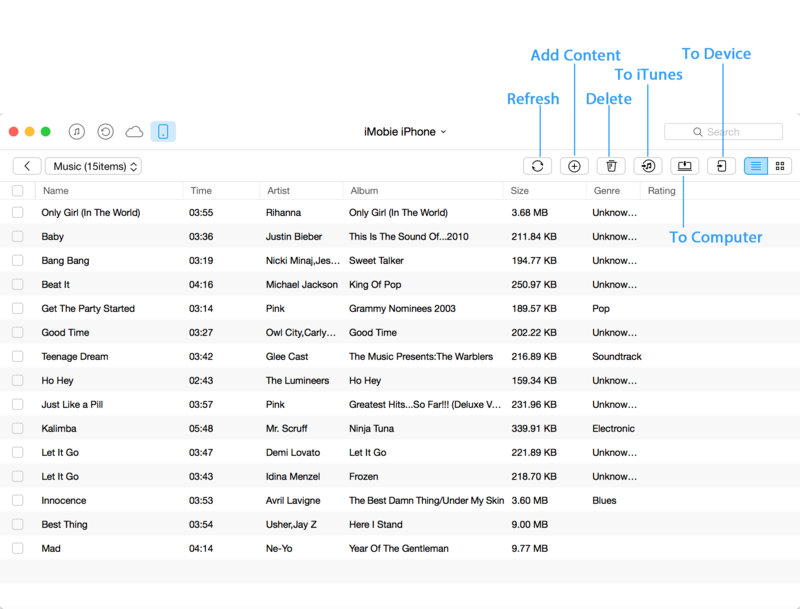 Browse the iTunes and iCloud backup, and gives you access to extract data from iTunes and iCloud backup to computer. Allow you to use your iDevice as a USB flash drive and you can add any files to your device storage. Work well for all series of iPhones, iPads, and iPods, including iOS 6, iOS 7, iOS 8, iOS 9 and iOS 10. Compatible with Windows Vista, XP, and Windows 7/8/10 as well as Mac OS X and macOS Sierra . 1. Run AnyTrans, and connect your iPhone, iPad or iPod to computer via a cable. Wait for AnyTrans to load your device data, and then it will present six shortcut buttons that allow you quickly transfer files to anywhere you want. 2. 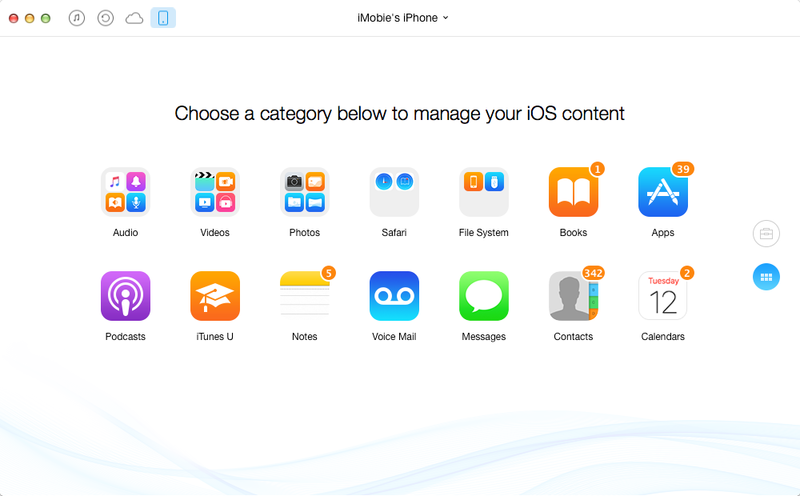 After scrolling down, you will see all categories that you can manage on your iOS device. And by click Audio or Videos, you can get more child-categories, such as Music, Photos and Ringtones. 3. After clicking into category, you can start managing your iOS data with AnyTrans. For instance, to add, delete, import, or export songs from your iPhone: Click Audio, and select Music, and then you will see an array of buttons on the right hand corner. Click the right button to manage your iPhone music. AnyTrans nearly meets all your needs on an iExplorer alternative, which makes it much easier to transfer, backup and manage files on any iDevice. Now it’s your time to download the free trial to have a try. If you meet any problems when using AnyTrans, please contact the support team via Email. This page is not affiliated with or endorsed by the developer of iExplorer. In case of any copyright infringement or legal issues, the download link has been directed to an alternatve to iExplorer.